Travel from Perth to Fremantle or vice versa on a relaxing Swan River cruise. You’ll glide along the river, admiring the waterfront scenery of Perth’s downtown skyline, upscale suburbs and yacht clubs. Drinks may be purchased from the onboard bar; a wine tasting is included on some cruises. Select a departure time and location when booking. Your one-way cruise starts in either central Perth or Fremantle, where you’ll board your boat and take off along the Swan River. Listen to narration and enjoy provided tea and coffee on board as you admire views of the downtown skyline of Perth, as well as the homes, parks and yacht clubs that line the river. Travel in either direction between Perth and Fremantle, a historical port city located at the mouth of the Swan River, where it meets the Indian Ocean. If you’re cruising from Fremantle to Perth, a selection of Western Australian wine is available for tasting (except the 12:45pm cruise). Drinks can also be purchased from the licensed bar. 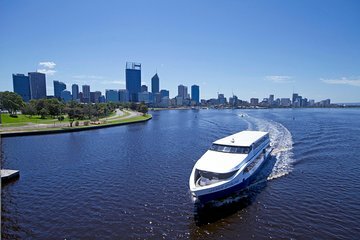 A chance to see the wonderful Perth skyline from the river from a large, sleek, modern river cruiser. Then, enjoying a drink, envy, in the next hour and a half, at the zillion dollar riverside properties and the occasional passing million dollar cabin cruiser, as you smoothly meander down the twists and turns of the Swann down to Freemantle harbour. I went over to Fremantle from Perth for the day and did the cruise both ways. A very relaxing way to get to Fremantle and back with an informative and fun commentary all the way over. Very friendly and helpful staff. Tea/coffee provided. I'd recommend this trip to anyone visiting Perth as it gives plenty of time to visit Fremantle and see the sights. A convenient and cost effective way to get from Perth to the Fremantle cruise port. Sightseeing on the Swan River is a bonus. They were agreeable to letting us bring our bags on onboard, even though there isn't really any place to store them. We did ask first. Seating is a free-for-all so be prepared for that. Great way to get from Perth city to Fremantle. We were staying the night in Fremantle, but a lot of people just stayed on-board the boat was only docked in Fremantle for about 15 minutes and took the journey back as well. The Captain gave us a brief history of Perth and pointed out some places of interest along the way. A very relaxing and enjoyable short cruise. It is a good way to make the transfer from Perth to Fremantle. I'd say ok and not to miss the scenery. For the way back I took the train. Very pleasant cruise on the Swan River with some of the most beautiful homes in Australia on display.  Wonderful cruise and panoramic views. Wonderful cruise with very beautiful views.